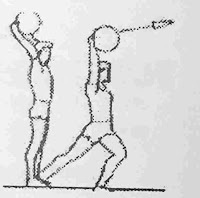 Medicine Ball Javelin Quadrathlon. The objective of this test is to monitor the development of the athlete’s fitness and strength. 3 step throw two (Men 3Kg – Ladies 2Kg). 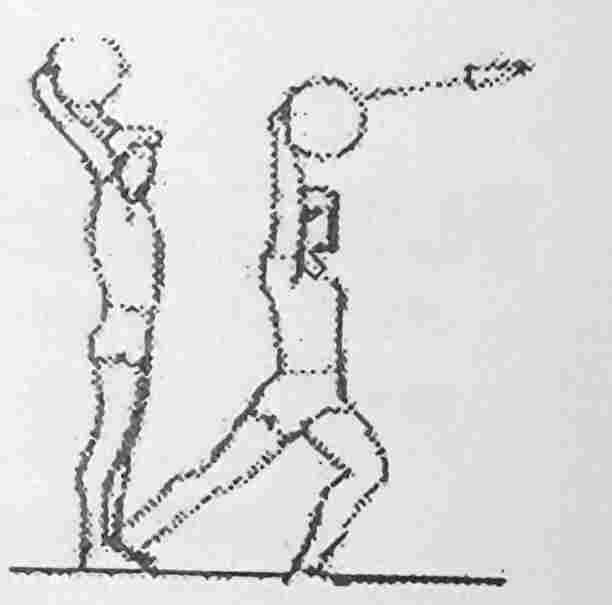 The athlete performs each throw and the assistance records the distance achieved. A follow through step is allowed Distance is measured from the front foot (on release) to where the ball lands. Distance is measured from the front foot (on release) to where the ball lands. Analysis of the result is by comparing it with the results of previous tests. It is expected that, with appropriate training between each test, the analysis would indicate an improvement in the athlete’s fitness and strength. Points are calculated for each throw from the table below. Add the 4 sets of points together to give a total score. The world best score for this test is 76 points and the UK best score is 66 points. This test is suitable for throwers (eg javelin, discus) but not for individuals where the test would be contraindicated. 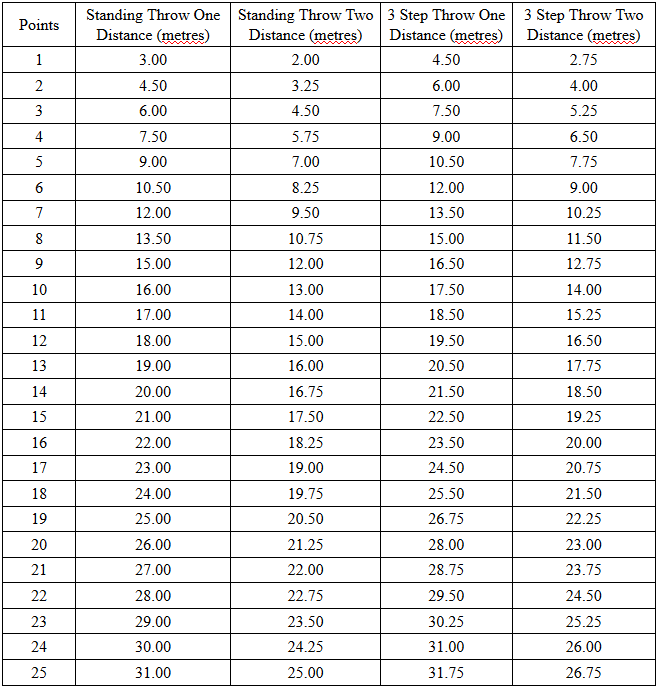 There are published tables to relate results to potential performance in competition and the correlation is high.